I make iOS apps as a means of supporting my family and as a creative outlet. 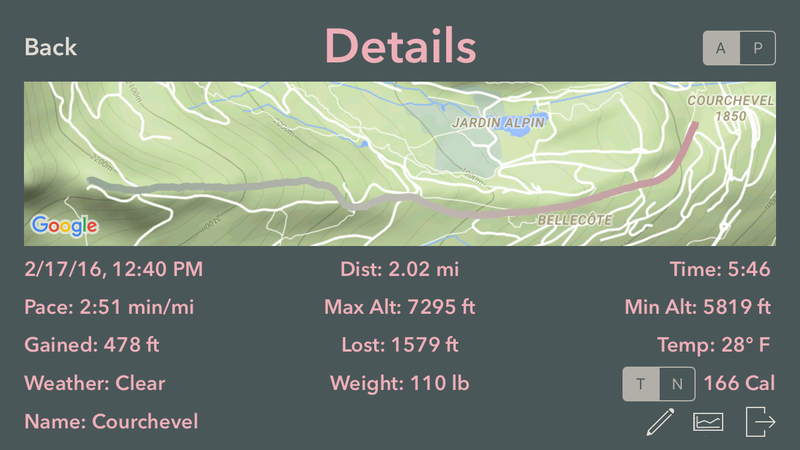 On the creative side, I have released three apps in the past five years: Immigration, RaceRunner, and Conjugar. Like many side-project apps, mine have had small budgets for asset creation. But they have greatly benefitted from free and low-cost assets (FALCAs). In this post, I introduce five sources for these FALCAs: Coolors, icon websites, Google Images, Sound Jay, Incompetech, and Free App Store Preview Music. Color theory is complicated. There are books on it. Although I have opinions about what colors look good together, I don’t consider myself a master, or even intermediate, color theorist. Professional UI designers spend significant portions of their training and careers thinking about colors. During development of a large app with commercial aspirations, a UI designer is likely to hand you, the app developer, a color palette. What color palette should a low-budget side project use? My approach for Immigration, my first iOS app, was to use the UIKit default colors: white, black, light blue, destructive red. Perhaps because some skilled designers at Apple chose them, these colors look fine. But in the fullness of time, this palette’s shortcomings have become clear: The colors are bland. They don’t stand out. They don’t wow the user. For my next app, RaceRunner, I spiced things up. Miami Vice was my favorite TV show of the 1980s. 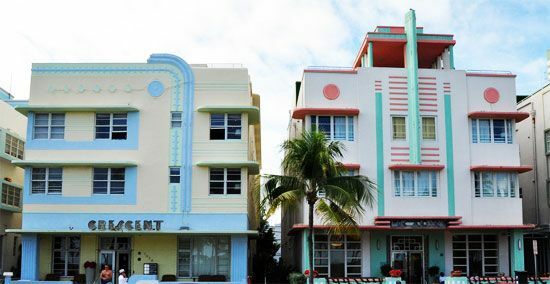 I adore the pastel, art deco architecture of South Beach. I decided to honor that show and that neighborhood by using a pink-and-turquoise palette in RaceRunner. I couldn’t just pick any pink or turquoise, however, without the risk of my colors clashing. Fortunately, I chanced upon a solution: Coolors, a website that describes itself, accurately, as “The super fast color schemes generator!”. Coolors suggests palettes of five complimentary colors. Here is an example palette. With the help of Coolors, I chose the palette in RaceRunner’s UI and UI-constants file. I provided the palette to the great Moze as input to RaceRunner’s app icon. I also used Coolors to choose the palette for Conjugar. I first decided to use variants of the colors of the flag of Colombia because that is a Spanish-speaking country of which I am fond. I needed a red, a yellow, and a blue, so I browsed palettes in Coolors until I found one with a pleasing combination of those colors. I used this palette in the app’s UI and provided the palette to the designer I hired for the app icon, Christine Daughtry. Most iOS apps, including those of the side-project variety, need icons. One option for acquiring icons at low cost is to learn to make them. That is a good option. The Catterwauls recently released a video course on visual asset creation. My free time is limited, however, and I prefer to spend it mostly coding rather than using an application like Sketch. In the following screenshot from RaceRunner, the arrow-and-checkbox icons are from FlatIcon and FreePik, respectively. In the following screenshot from CatBreeds, an app I developed for pedagogic purposes and did not therefore release to the App Store, the cat tab-bar icons are from The Noun Project. The importance of crediting icon designers and following the terms of licenses cannot be overemphasized. Not only is giving proper credit morally imperative, but failure to credit could impose legal liability for an app that experiences commercial success or scare off potential acquirers of such an app. Free is great, but I don’t recommend using free images exclusively for button icons. Many concepts have permissively licensed icons that convey them. Search is an example of this. As of the time of writing, for example, a search for “search” on The Noun Project retrieves 15,905 icons, many of them magnifying glasses. But permissively licensed icons are not available for certain concepts. Here is an example. One tab of Immigration contains procedures for the Board of Immigration Appeals (BIA). In 2013, when I created that app, there was no permissively licensed icon that conveyed the concept of the BIA. I therefore hired a professional, Mariela Peña, to draw the BIA itself for that tab’s icon. With respect to the app icon, I recommend hiring someone to create it. The app icon should entice App Store browsers to download the app. The app icon should beckon app downloaders to return to the app. The app icon should reflect the app’s personality. A skilled artist can create an icon that meets these burdens. Some apps also need photos. As the app developer, you can sometimes take the photo you need with your iPhone. For CatBreeds, I had access to cats of two required breeds, Tonkinese and Abyssinian, so I took those photos and used them. But I did not have access to cats of any of the other nine breeds. So I got the photos I needed from Google Images searches. You are perhaps already familiar with Google Images, but I mention it here as a lead-in to the following tip. When searching for images to use in side-project apps, filter by license. In search results, click Tools -> Usage rights. Choose an option. Labeled for reuse with modification is the most-permissive option, but there are others. With the proper filter, the image you choose will be safe for use. Expanding the Treehouse definition, an affordance is a “clue about how an object should be”, can be, or has been used. An example is the scroll bar in a UIScrollView, which informs the user that a view can be further scrolled. Sounds can act as affordances. In RaceRunner, for example, the starter-pistol sound that plays when a run starts a run confirms that the user has tapped the start-run button. As Treehouse has noted, “affordances … can help lead to more intuitive user experiences.” I incorporate sound into my apps both as an affordance and to add an element of fun. As an example of the latter, when a search fails in Immigration, a sad trombone plays. I have acquired all sounds for my side-project apps from a website called Sound Jay, which features thousands of permissively licensed sounds. By way of example of the breadth of Sound Jay’s catalog, there are nine different applause sounds. Apple describes “[a]pp previews [as a] demonstrat[ion of] the features, functionality, and user interface of your app using footage captured on device.” I consider app previews to be app advertisements. The right song makes an advertisement stand out. There are, on the Internet, two handy sources of music for app previews and other purposes. One is Incompetech. Genres available include disco, lounge, electronic, rock, Christmas, jazz, and classical. Songs are free to use with attribution or can be used without attribution for the low, low price of $30. I use Incompetech for all my app previews. The other is Free App Store Preview Music by Matt Luedke. License: Creative Commons. Matt also composes full-length songs. I like Real Thing. On a parenthetical note, his tutorial was the starting point for RaceRunner. I hope this blog post encourages you, the reader, to consider using these FALCA sources for your side-project apps. Have you encountered a nifty FALCA not mentioned here? I would be delighted to include it in a postscript. My obfuscated email address is vermontcoder at gmail dot com.